If you want to be the best you need to train like the best with the best tools. Here is a list of some of the equipment we train with and highly recommend purchasing (we even threw in a couple of discount codes). If you order from one of these companies, let them know the Conquer The Gauntlet Pro Team sent you. 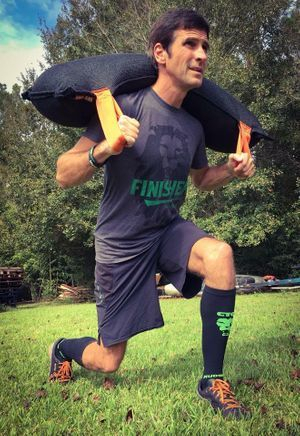 Sandbag training is a great option to prepare for obstacles like Conqueror's Carry or just to strengthen your legs. 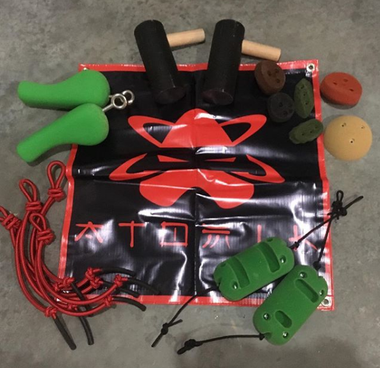 Wreck Bag provides a very durable training tool that can survive in any weather conditions without ripping and without absorbing additional weight from rain. 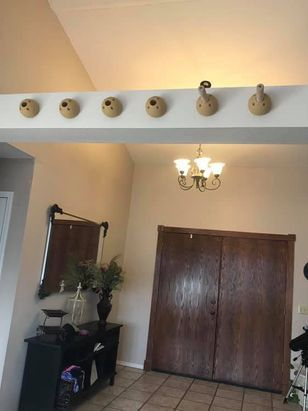 Options range from 5 lbs. up to 100+ lbs. per bag. One of the challenges we face as Obstacle Course Racers is how to make our training progressive (get harder as you get better). At some point you run out of steeper hills and you can't keep rebuilding obstacles taller or longer. 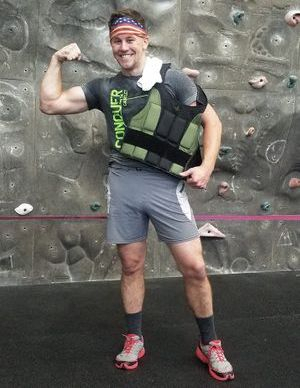 The solution is adding a weight vest, which turns even easy exercises into ones that can be increased in difficulty. 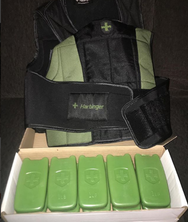 We recommend Harbinger weight vest, which has one pound weights allowing you to easily increase or decrease difficulty. Don't forget to tell them the CTG Pro Team sent you. 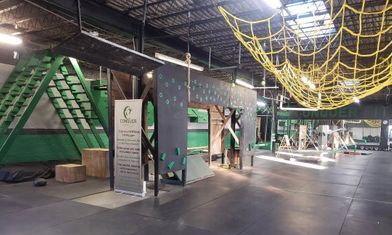 Not everyone has access to a full scale ninja gym like Conquer Fitness in Tulsa, OK, but there are options to work on grip, back and obstacle specific strength in any gym. 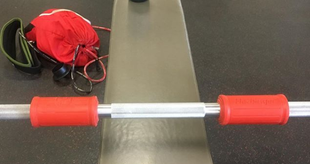 Using Harbinger Fat Bar attachments to turn everything into a grip strength exercises is one way. 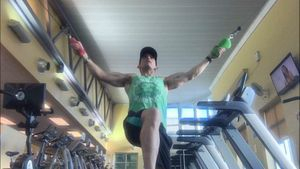 Another way is making pull-ups or dips more challenging through the use of a dip belt. 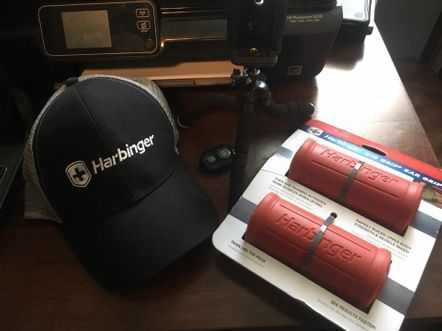 We recommend Harbinger Fat Bar grips and dip belt, which has one pound weights allowing you to easily increase or decrease difficulty. Don't forget to tell them the CTG Pro Team sent you. Training for the hardest Obstacle Course Racing series in America requires having the right tools to work on grip strength. Atomik Climbing Holds provides a variety of grips, shapes and sizes that are perfect for training. Whether you are using them to build a rig in your house, setting them up at a local playground or just attaching them to weight machines providing specific and progressive training, Atomik has your solution. Order Atomik Climbing Holds here and tell them the CTG Pro Team sent you. Don't forget to stop by their Deal of the Day section, which usually has free climbing holds you can add to your order. 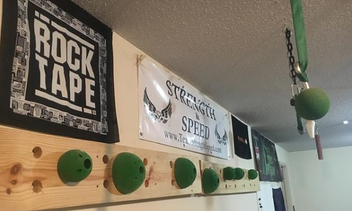 If you are looking for a specific way to train for the pegboard but don't have a lot of room, Atomik has holds for you. They are modular and can be mounted directly onto the wall or into a board. Their modular nature allows you to customize spacing and their space allows them to double as pull up or traverse holds. Plus their oak pegs are great, keeping their shape even after repeated use. The best ninja and grip strength training company, Atomik Climbing Holds, now offers balance products. 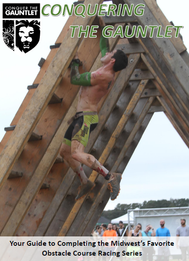 As you know, balance is crucial for both ninja and for OCR like Conquer The Gauntlet. Bring these small but highly functional products into your home. 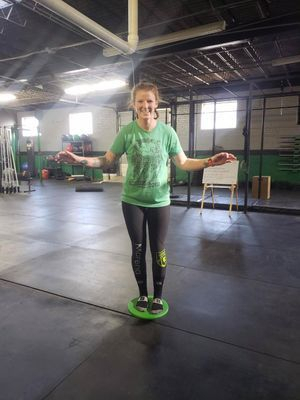 They offer two footed balance trainers and single foot balance trainers. We recommend going with the Intermediate or Advanced models. See Atomik's full line of balance products here. 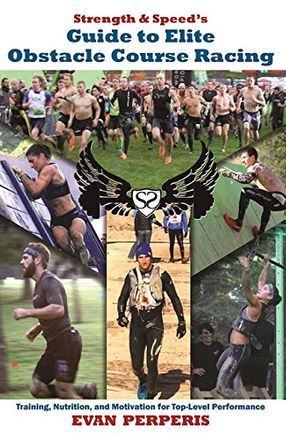 If you are looking for comprehensive training at a value that is impossible to beat for all distances of OCR including the four mile 25 obstacle Conquer The Gauntlet., then this book has that for you. It comes with; nutrition advice for daily life and race day; 12 training plans (beginner, intermediate and advanced) for four different distances (from 5k to 24 hour); obstacle specific techniques; how to stay motivated; and interviews with some of the best OCR athletes in the world. The book is available here in our online store. If you are looking for a book that focuses solely on Conquer The Gauntlet, which is a great guide for all ability levels from beginner to expert, then pick up Conquering The Gauntlet. 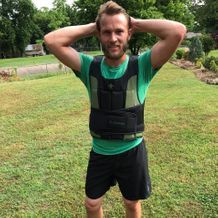 If you are looking to prepare for Conquer The Gauntlet Continuum, then you are going to want the only book completely focused on endurance OCR: Mud Run Guide's Ultra-OCR Bible. 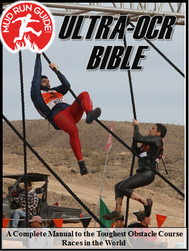 Mud Run Guide's Ultra-OCR Bible is now available in digital too. 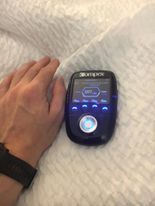 This is perfect for use when traveling, for injuries or if you are just looking to take your training to the next level. EMS (Electrical Muscle Stimulation) are electrodes you place on a targeted muscle that forcibly contract your muscles. It means you get get a workout in without leaving your room. For full review on their products read this Mud Run Guide article. 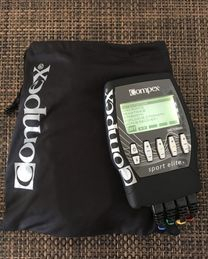 Available for purchase from Compex and be sure to let them know the CTG Pro Team sent you.